Since I was a child and first understood what a resolution was, I’ve felt the pressure each year to make them. This has been problematic since then. There are so many who follow this same path. And, so many who fail. The statistics aren’t great. 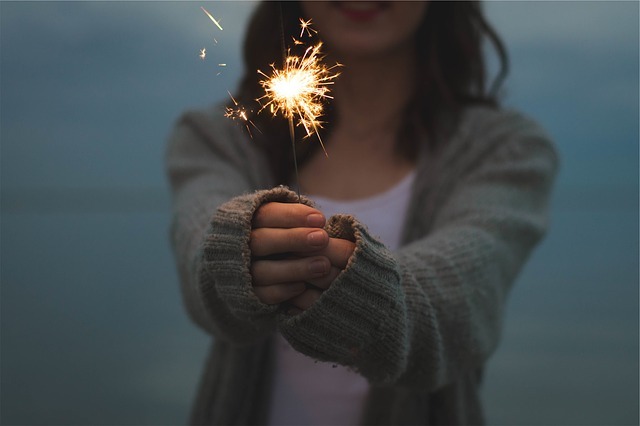 According to Statistic Brain, only 8% of people who set resolutions actually achieve them. This statistic was from last year. I am never among the 8%. I can’t remember ever having success with a New Year’s Resolution, usually giving up within the first few weeks, if not days. If I made it to February, that was a miracle and I don’t remember ever doing that. I don’t know when I stopped with the resolutions. Since I struggle with setting goals anyway, I decided not to make myself feel worse. What I’ve done instead is to reflect on my life around my birthday, which I did last year. I wrote about it here. This reflection includes looking back over the previous to see how it went and to think about the direction for the upcoming year. This has made more sense to me and I can see just how far I’ve come. That doesn’t mean I ignore this time of year. The solstice has just passed which means the light is coming back. It is the perfect time for new beginnings. What I’ve begun to do in the last couple of years is I’ve chosen a word to focus on for the upcoming year. It’s not a goal per se. More like that little thought in the back of your mind that helps to guide you. The words I have chosen have been ones that tend to show up in my relationships and daily life over and over. The word helps to keep me on task. In my next post, I will talk about how choosing a word for the upcoming year works. What I will do now is to encourage you to think about how you approach the new year. Will you make some resolutions that for the most part won’t be achieved? Or will you choose a guiding word and see where that takes you? I believe in setting myself up for success and I hope you do the same. My last resolution that was actually completed was in 1976… I quit smoking!!!!! I also said I would lose weight…that did NOT happen! One out of two is better than 0/2. Never did go back to smoking.☺I no longer do the “resolution” thing. However I do try to clean things out and organize things. My sewing room especially! Does it ever stay that way…noooo, which is why I have to do it every year!